It does seem to be time for an in depth forecast about Northeast Florida’s housing outlook for 2015. 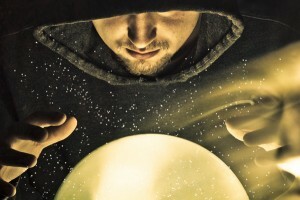 The prediction game is going strong everywhere else this week, with print and online journalists and TV talking heads interviewing experts and each other about what to expect in the coming year. Some make noteworthy predictions—but more seem to be doing their best to sound authoritative while remaining vague enough to avoid provably wrong calls. I have to sympathize. Last year, after delving into the Northeast Florida housing outlook to come up with predictions, the one I put at the top of my list was a forecast that mortgage interest rates would soon be climbing. That was safe—rates had been so low for so long, history told us they had to rise, didn’t it? Besides, all the experts agreed. What then happened in 2014 explains why financial prospectuses tend to footnote projections with sentences like “past performance is no guarantee of future results.” Rates did rise; but then sank again. So this year, it’s probably a better idea to shelve the crystal ball in favor of laying out some of the factors we do and don’t know—factors that should influence the direction of Northeast Florida housing trends for the coming year. Uh-oh! No they don’t. The Census Bureau now says that the cohort of 23-year-old Americans has just become the largest in the country. Followed by 24- and 22-year olds, respectively. Probably why the chief economist at the NAR® projects that this generation will “drive two-thirds of household formations over the next five years.” He says 2015 will become the point at which the millennial generation’s presence in the housing market will be truly felt for the first time. So what we do know is that younger buyers have begun to join the ranks of homeowners in substantial numbers. That’s different; it has the look of a major trend. And mortgage rates will rise (because they have to, right?) Again, this one only seems to be a reliable projection. At this point, a 30-year mortgage is actually lower than it was a year ago. It is thought that foreign influences (uncertainty in Europe; economic weakness in the Far East) are what have held down U.S. housing financing rates. If that’s true—and since no one can say with any certainty what to expect from events overseas—mortgage rates and their influence on Northeast Florida housing activity should more accurately be placed in the don’t know column. Economists agree. Fortune.com says that economists are “nearly unanimous in predicting that home values would continue to rise” and that “surveys of homeowner sentiment suggest that more of them will look to sell their homes” in the coming year. If you are leaning in that direction yourself, there’s one factor we know for sure: I’ll be standing by in 2015, ready to put all of my resources and experience to work for your Northeast Florida home sale! SOLD IN JUST 3 DAYS! Sieva Realty is Jacksonville and Surrounding Areas' most innovative real estate team. © 2019 Northeast Florida Multiple Listing Service, Inc. All rights reserved. The data relating to real estate for sale on this web site comes in part from the Internet Data Exchange (IDX) program of the Northeast Florida Multiple Listing Service, Inc. Real estate listings held by brokerage firms other than Sieva Realty are marked with the listing broker’s name and detailed information about such listings includes the name of the listing brokers. Data provided is deemed reliable but is not guaranteed. Data last updated 2019-04-25T16:24:23.437.